The Foundation sponsors a number of events throughout the year to raise awareness and funds for our various initiatives. 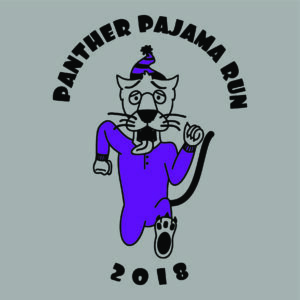 The Panther Pajama Run and Pancake Breakfast features a 5K race, a 1.2 mile family fun walk, and races on the track for K-6 students. All events start and finish on the track at Strath Haven’s King Field. The 2015 race kicks off at 9 am on Saturday, November 7. Online registration is at www.runtheday.com; race day registration begins at 8 am. Admission to the pancake breakfast is included in race or walk registration, and extra tickets are available for family members. You can learn more about the Panther Pajama Run and Pancake Breakfast here. Enjoy an evening out while supporting technology initiatives and grants for Wallingford-Swarthmore School District students and teachers. The region’s premiere silent auction, Arts4Smarts 2016 will feature delicious, expertly-prepared Italian cuisine complimented by local beer and fine wine. You can learn more about Arts4Smarts here.